It depends on the severity of your asthma. Only those who suffer from frequent and severe asthma attacks that cannot be controlled with medication are eligible for Social Security disability benefits. Understanding Asthma: When Is it Severe? Dust, mold, pollen, and animal fur. Cigarette smoke, workplace chemicals or dust, home spray products, and air pollution. Some medicines, such as aspirin, anti-inflammatory drugs, and beta-blockers. Sulfites found in food and beverages. Your symptoms are causing you to lose sleep, occurring more often, or are more severe. You are missing work because of asthma attacks. Your peak flow number (established with your doctor) is low or swings from day to day. Your asthma medicines are not working. You need your quick-relief inhaler more than usual. An asthma attack sends you to the emergency room. If an asthma attack can be stopped by moving away from the trigger, with an inhaler, or with another medication, then it is not considered severe. You may be eligible for Social Security disability benefits if you meet the qualifications in the Listing of Impairments or if your condition is so severe that you are unable to work. The results of your lung function test (FEV1) are low for your age, gender and height. What’s defined as “low” is provided in a chart in Section 3.03A. You have had three asthma-related hospitalizations within the last 12 months. Each hospitalization must last at least 48 hours and each hospitalization must occur at least 30 days apart. If you have chronic asthmatic bronchitis, then you may qualify for Social Security disability if you can meet the requirements of the Listing of Impairments for COPD. Additionally, you may qualify for benefits even if you do not meet any of the listings in the Listing of Impairments if you can prove that your condition is equal in severity to any listing in the Listing of Impairments or if you are unable to work due to your medical condition. Regardless of which way you qualify, you will need documentation to prove that you are eligible for benefits. You should have a record of each episode, how long it lasted, the treatment that was administered, and how well you responded to treatment. You should also have results of spirometry tests and arterial blood gas studies (ABGS) from each attack. Additionally, your medical records must show that you are following the treatment plan ordered by your doctor unless you have a valid reason not to do so. Approximately 18.4 million people over the age of 18 suffer from asthma, according to the Centers for Disease Control and Prevention (CDC), but not all of them qualify for Social Security disability benefits. 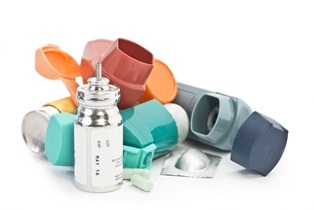 If you can control your asthma by avoiding environmental triggers and by using medication, then you will not be eligible for benefits. However, if you experience frequent, sudden, and severe asthma attacks despite treatment then you may be unable to work and you may qualify for benefits. The Social Security disability application process is confusing, but you can be prepared. Learn more about applying for benefits by reading Attorney John Keefe’s book, Unlocking the Mystery: The Essential Guide for Navigating the Social Security Disability Claims Process or by contacting our firm directly by phone or via this website to schedule an initial meeting.